MASSY A.J.P. 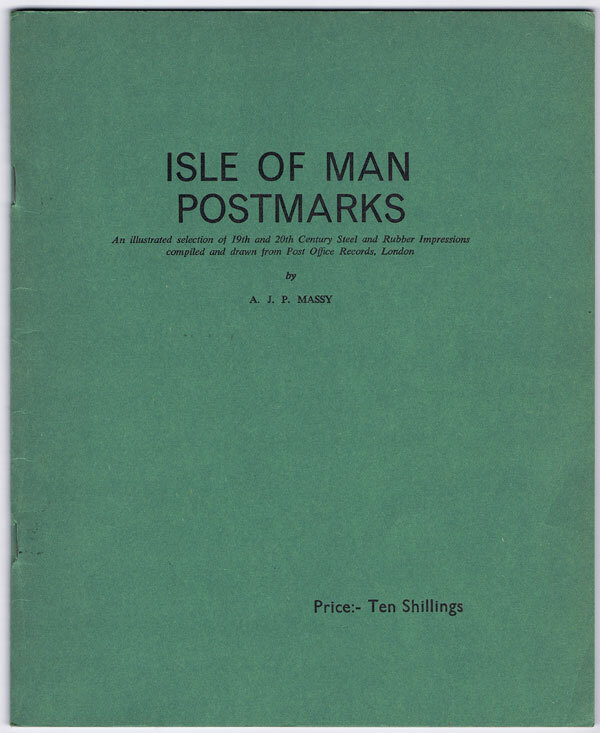 Isle of Man postmarks. - An illustrated selection of mostly 19th Century impressions compiled and drawn from Post Office records, London. Part 2 covering mainly 20th Century Impressions (Steel) and Part 3 covering 19th and 20th Century Impressions (Rubber). MASSY A.J.P. 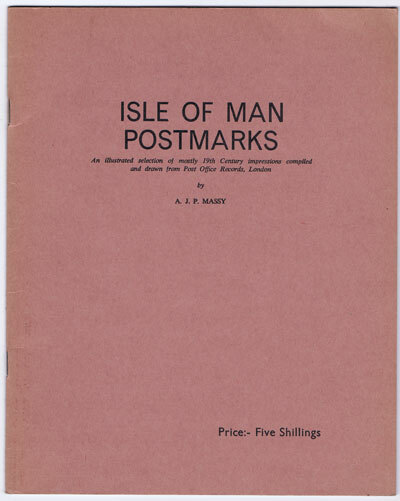 Isle of Man postmarks. - An illustrated selection of mostly 19th Century impressions compiled and drawn from Post Office records, London. Part 1. Covering steel impressions. 3pp + 6 plates. 1st ed., fine in card covers. POVEY A. and WHITNEY J.T. 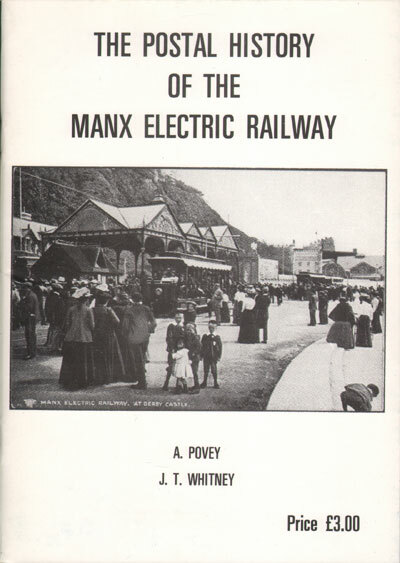 The Postal History of the Manx Electric Railway. 28pp + loose card. 1st ed., clean in card covers. 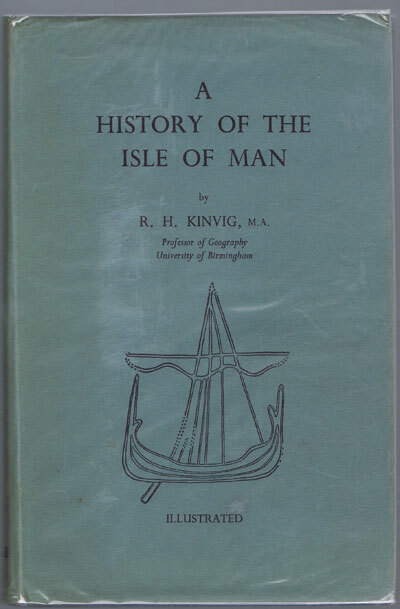 KINVIG R.H. A history of the Isle of Man. Uni Press of Liverpool 1950 180pp + plates. 2nd ed., fine in D/W. Well researched study.